The EURO PhD Schools (EPS) were proposed and approved in 2012. 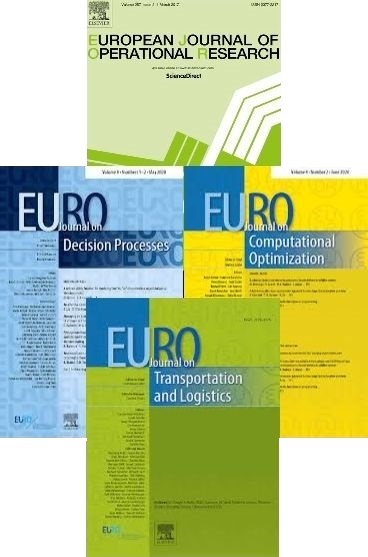 EURO PhD Schools are an instrument established to encourage the organization of post-graduate education initiatives for PhD students under a school format. This instrument differs from the EURO instruments for being training-oriented and by addressing PhD students. The other EURO instruments within the Education Initiative are either research-oriented and addressing final year PhD students (ESWI and ORP3) or have a conference format instead of a school format (EURO-k conference tutorials). Under this initiative, EURO annually offer bursaries to selected candidates to attend NATCOR courses (ww.natcor.ac.uk). NATCOR, a National Taught Course Centre in Operational Research, deliver taught courses in the UK to PhD students on a number of different topics in OR.